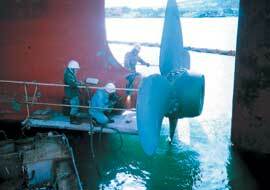 We have three dry docks, several pires and repair facilities to meet customers' needs,including periodical maintenance, emergency repairs and structural modifications. 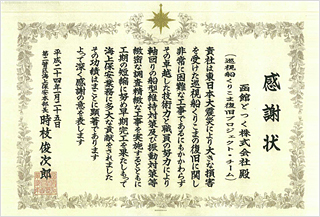 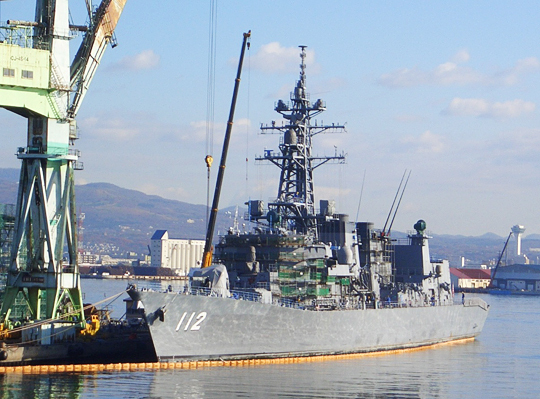 Hakodate Shipyard restored a large dry dock (300K tons, L330m x W58m x D10.7m) as the third dock in October, 2010. 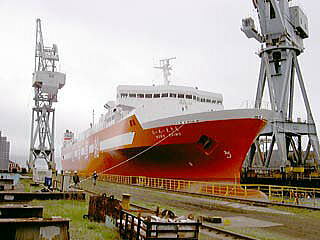 We also constructed a new housing facility for client crews, named Dock House Annex II. 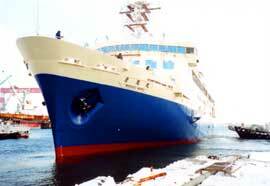 The Dock House has 6 floors, 78 rooms and accommodate 359 people. 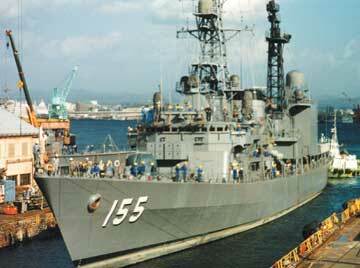 'Takanami' class destroyer, Japan Maritime Self Defense Force during annual servey. 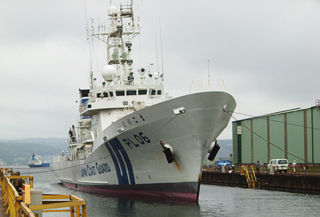 Conversion Work of "Mashu Maru"
the Japan Coast Guard's vessel. 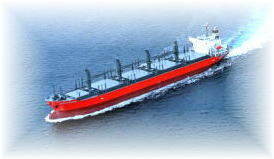 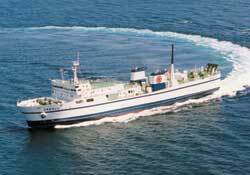 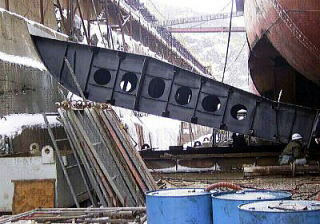 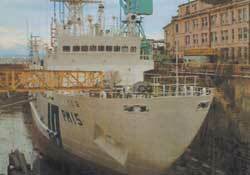 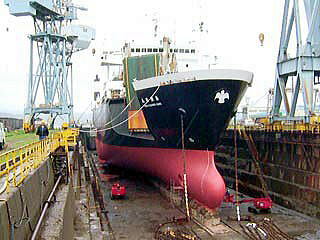 Various kinds of ship repair and conversion / modification works have been done to the wide range of vessels. 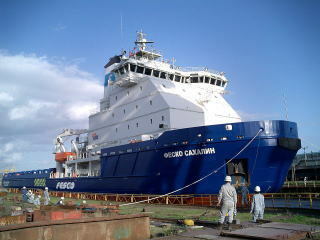 The docking of Icebreaker"FESCO SAKHALIN"
The restoration project team for Japan Coast Gurard Patrol Ship 'Kurikoma', Hakodate dock co., ltd. received an official commendation for proper and early repair with the excellent technical skill of JCS PS Kurikoma, which was damaged heavily by the Great East Japan Earthquake on Mar 11, by ADM Tokieda, Commander of The 2nd Regional Coast Guard Headquarters, JCG.